September has been a month of orbit around Liverpudlian genii It’s Immaterial. Not only did I receive the breathtaking DLX RM of their debut album, “Life’s Hard Then You Die” as a birthday present from a good friend [more on this later, I’m sure], but simultaneously, word arose that the band were crowdsourcing the ill-starred 1992 third album that saw them part ways with Circa Records and go off into the wilderness for 24 years. In the last several years, rumors have been bubbling up, complete with now-you-see-em-now-you-don’t unreleased tracks on Soundcloud by the band themselves. Now it’s on the assembly line and will [ideally] be coming into the world on December 21st, if the pledge is met. Given that 69% of the goal has been met in as few as eleven days, I hope it’s safe to say the the long awaited third It’s Immaterial album will manifest in time for Christmas! Thus far, only teaser images have appeared, but I fully expect the final art to be quite different from the image at left. As for the track listing, nothing has been released yet, but the archaeologists amongst you miiiiiiiight remember a CD of dubious provenance back in 2001 of an album with this title attributed to It’s Immaterial. It’s difficult to say whether the CD was a band-member-issued artifact or a bit of leaked larceny, but the cover and track listing from that disc is below. The band’s page on PledgeMusic has not listed the contents yet, but it should happen soon enough, with only a little over ten weeks left before the campaign ends. Just what are they band offering to pique the interest of their audience? Then things start to get more idiosyncratic. An in-studio playback of the album [pre-release] with the band in Liverpool is a scant £25/$32 and includes a DL. An original pastel drawing on board with lyrics for £250/$321 [3 left]. At the same price point is an afternoon in their studio in Liverpool at the same price point. These flights of fancy are novel, but I’m a meat and potatoes fan with a limited budget. I will be good for the CD and the question is whether I opt for the signed on or not. Being a purist, I suppose unsigned will be the thing for me. 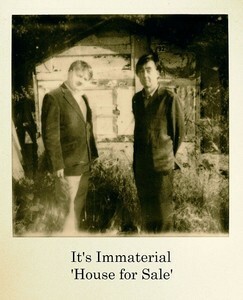 I’m happy enough to finally have a third It’s Immaterial album in the pipeline with their stately 35 year career arc. In the cold light of black + white, it makes the pace of The Blue Nile look positively breakneck in comparison. Fans of literate, intelligent pop music will be too busy rejoicing to fault them for their velocity. This entry was posted in Want List and tagged 2016, crowdsourcing, House For Sale, It's Immaterial. Bookmark the permalink. Hmmm…where is New Moon, a beautiful song that came out in those “now you see ’em, now you don’t…” releases over half a decade ago… I hope it finds it’s way out. It had such a wonderful Callum Malcolm/Blue Nile feel about it, as a matter of fact. There is such a strong kinship around the Liverpool bands of the early to mid 80’s. 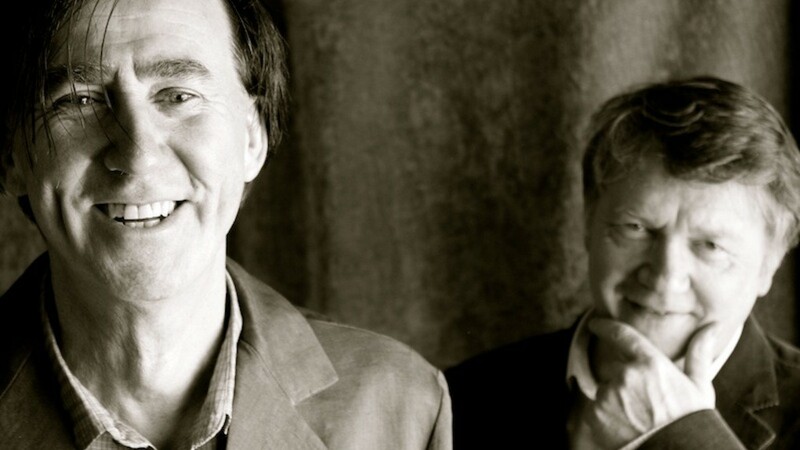 The Liverpool sound had such a great expanse – from minimalist electronic pop to lush and grand Post Punk, but so many of the key players knew and played with each other. Henry Priestman was certainly an MVP. Echorich – The actual track list has yet to be revealed, so by all means don’t react to a 14 year old bootleg of indeterminate provenance! I just put that out there to be thorough.! I had the chance to get the 2 cds that covered Home For Sale tracks and more few years ago, and even they were not finished songs (for me they were…) I enjoy them a lot. Small production sometimes is better so I hope they don’t change them too much. 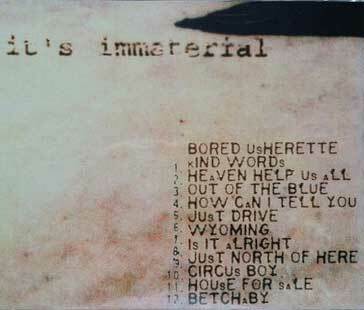 It’s the best album from It’s Immaterial in my opinion. Pure POP. jose – Welcome to the comments. Wow, so you actually heard some “House For Sale” songs? Like I mentioned, I caught wind of some tracks released by the band on Soundcloud but as usual, I often ignore free downloads of rare material by favorite bands of mine, and this was the case once again. Music files just aren’t a part of my musical diet! So it was a pop sounding project? I’m intrigued. The two albums skirt the left field of pop; the second more strongly. Maybe “Ed’s Funky Diner” is a track I’d call pop, largely due to The Christians backing vocals.